Oxford & Milton Keynes to close for a makeover. 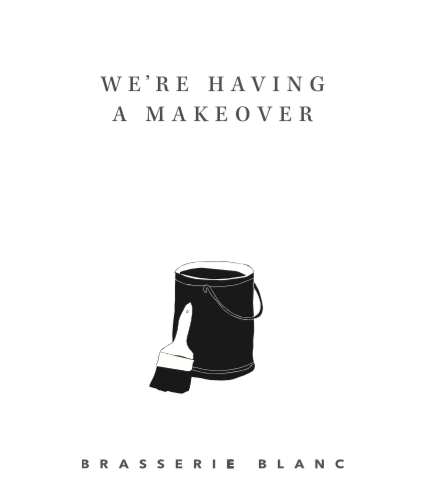 Two of our brasseries close in the next week as our makeover teams move in in preparation for giving Oxford and Milton Keynes a whole new look. The refurbishments will bring the brasseries in line with our new Brasserie Blanc look already launched in Cheltenham, Beaconsfield, Winchester, Charlotte Street, Portsmouth, Farnham and St Albans. Oxford will be closed from 8pm on 22 March and all things being well will re-open on 20 April 8am for breakfast right through to dinner and everything in between. Please keep an eye on our webpage, or follow us on Facebook and twitter for news on re-opening offers. You can also sign up for our newsletter to make sure you don’t miss out when we re-open. Our Milton Keynes brasserie will be closed from 2pm on 25th March and will be open again from 5pm on 13th April then for breakfast through to dinne, and any occasion in between. We apologise for any inconvenience. Please sign up for their newsletter to get fabulous re-opening offers. You can also follow our progress on their webpage, Facebook or twitter.